This Halloween tract illustrates that, just like there’s only one way to get through a maze, the Bible says that there’s only one way to get to heaven! 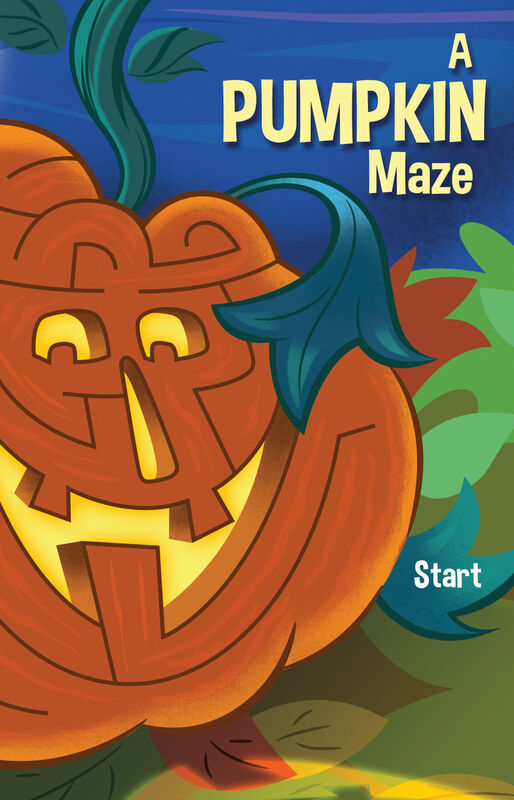 By now you’ve found out that there is only one way to get through the pumpkin maze from start to finish! Did you know that getting to heaven is a lot like get- ting through that maze? Just as there is only one way to get to the finish, the Bible—God’s special book for us— says there is only one way to God in heaven. Jesus said, “I am the way, and the truth, and the life. No one comes to the Father except through me” (John 14:6). But many boys and girls are on a “dead end” route. That’s because all of us naturally go the wrong way. The Bible says that all of us “like sheep have gone astray; we have turned—every one—to his own way” (Isaiah 53:6). that whoever believes in him should not perish but have eternal life” (John 3:16)— that means life that lasts forever! Jesus Christ, God’s son, came to earth and took the punishment for all the disobedient things we do. Those things are called sins. God “laid on him the iniquity [sins] of us all...Christ died for our sins...he was buried...he was raised [back to life] on the third day” (Isaiah 53:6, 1 Corinthians 15:3-4). When Jesus came back to life, it proved that he is really God’s Son, and that the punishment for our sins had been paid in full! Now you can be forgiven by God! The only way to heaven is that you must believe that Jesus died in your place, so your sins can be forgiven. And when you truly believe that, Jesus promises you will have a home forever with him in heaven. “In my Father’s house are many rooms...I go to prepare a place for you...that where I am you may be also” (John 14:2-3). Dear God, I know I am a sinner. I believe Jesus died for me. I am trusting you to forgive my sins and to give me eternal life. Thank you for loving me so much!